Reconstructed human epidermis (RHE) provides an accurate and reliable test system for in vitro skin irritation and sensitization testing. The landscape of biocompatibility assessment of medical devices is an ever-changing and evolving one. 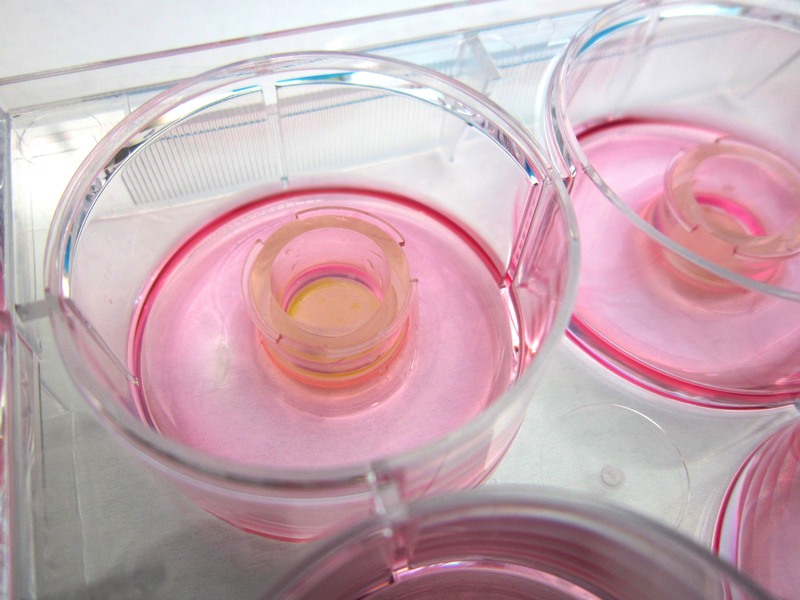 Recently, there has been a lot of effort put into the development of alternatives to in vivo biocompatibility testing. Expanding technological capability and increased scientific understanding of the key events in complex biological responses is making this shift to in vitro alternatives possible by enabling the development of accurate, sensitive, and reliable test methods. Because of the large amount of toxicological data available and increased sensitivity compared to animal tests, the advanced chemical characterization of medical device extractables is largely being seen as a potential replacement for many in vivo systemic toxicity endpoints. This is reflected in Figure 1 of ISO 10993-1, which lists chemical characterization as a first step in the biological evaluation of a new medical device. Another area that is making great progress in the transition to in vitro alternatives is that of skin irritation and sensitization testing. A number of in vitro test methods for assessing skin irritation and sensitization have been validated and approved for use in chemical, cosmetic and pharmaceutical testing1-3. Many of these methods are being successfully adapted for use in medical device assessment. The final preparations are currently underway for a round-robin validation of in vitro skin irritation testing for medical devices. In addition, recently published research shows promising results for in vitro sensitization using medical device extracts4. Nelson Laboratories is committed to scientific advancement and is actively engaged in research to assist in the development of safe and reliable in vitro alternative methods. We believe that this transition will be largely beneficial to medical device manufacturers, testing laboratories, and end users. For more information on these important developments Daniel recommends you read Evaluation of an In Vitro Human Dermal Sensitization Test for Use with Medical Device Extracts, Better Animal Testing Alternatives Are Coming to U.S., and review Nelson Labs’ 2015 SOT poster presentation, Extractable Positive Control for In Vitro Skin Irritation Testing of Medical Devices. OECD. Test No. 439: In Vitro Skin Irritation. (OECD Publishing). OECD. Test No. 442C: In Chemico Skin Sensitisation. (OECD Publishing). OECD. Test No. 442D: In Vitro Skin Sensitisation. (OECD Publishing). Coleman, K. P. et al. Evaluation of an In Vitro Human Dermal Sensitization Test for Use with Medical Device Extracts. Applied In Vitro Toxicology 1, 118-130, doi:10.1089/aivt.2015.0007 (2015).